Enhance your casual looks with the addition of the Lotus ladies’ Fortune ankle boot. This black leather, round toe boot is accentuated by decorative lace-up detailing at the back on the boot, plus ruche and pleating have been encapsulated on the upper. 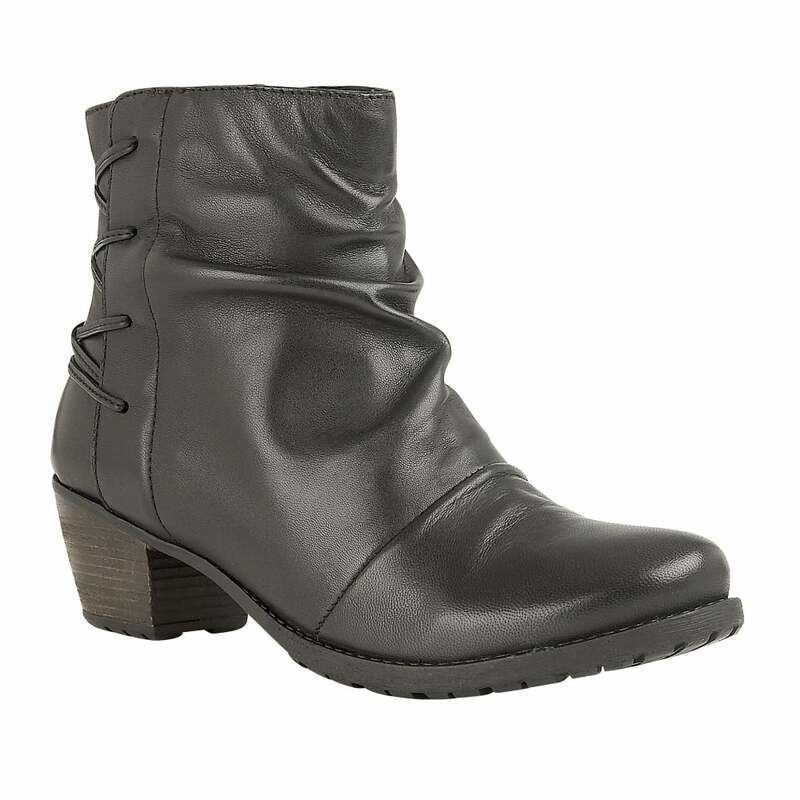 This Lotus ankle boot has features a cleated sole unit and a 5cm wooden stack effect heel.